So what is Tony Horton One on One? 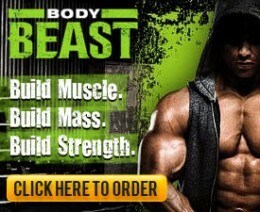 How does this differ from P90x and P90x Plus? One on One is an unscripted workout with you and Doc Horton. There are no other people working out with him. It is just you and him (and his trusty cameraman Mason Bendewald from Mason Twist fame). You get to see the real Tony and frankly get to know what makes this guy tick. He shares his stories, his opinions, his quirks, his humor, and his vulnerabilities. I did Beachbody workouts for a year before I started the One on One series, but I know many who use these discs right after completing P90x. One of the things that intimidated me with One on One was that there were no workout sheets, there was no routine to follow, and frankly I couldn’t even tell what muscle groups were being targeted from the disc names. So when I bought Volume 1 in its entirety, I committed myself to documenting the workout and shining a light for others who may be struggling with the same thing I was. This guide should help you decide if you want to purchase Volume 1 in it’s entirety or just certain discs. Lastly, I have put all the trailers in place for your convenience. I have really enjoyed this One on One Series and will soon post my Hybrid II Review that is solely comprised of One on One workouts. Enjoy!!! The foundation of this routine comes from Tony’s P90 Master Series from the same name. Although I have never done this disc, Tony says that this routine does switch it up. If you are coming from P90x, you could switch out Legs & Back (assuming you do Back in another workout) or Plyometrics for this workout. From a cardio perspective, it is not as intense as Plyometrics, but it has deep range of motion (can you say “Monster Groucho Walk”) and just keeps pounding away at your entire lower body. If you are coming from Insanity, you may think this will be a piece of cake. Well, I can tell you this is a world-class leg workout and will leave you sore from the waist down…guaranteed. Tony states that he uses this workout in preparation for ski season and I can see why. This works it all and does a particularly good job on side-to-side work with movements like Side Long Jump, 4 Corners, and Eggen Brothers. I am on the road a lot. So I was really excited to use this workout. Tony’s Promise? With one band, you can get a killer total body workout. So, did Tony deliver? As if you ever doubted. I was traveling in Vegas when I first did this workout. I was sweating like crazy in my hotel room and then he jumped into his Final Round, dubbed “The Speed Round” because he is running short on time. Wowa! This is a great total body workout and you can modify this with weights as well if you are not on the road. Each round you do 7 exercises working Chest, Back, Shoulders, Biceps, Triceps, Gluts, and Legs. You do 3 Rounds and then you repeat the 1st Round for the Final Round. And just in case you think he forgot abs, during the cool down, he breaks out 100 reps of bicycle. It ain’t over until it’s over. Bring It! This routine does not have any new exercises, but that doesn’t mean you wont enjoy a new look at some old favorites. First off, Tony does not mess around. He moves very quickly through the exercises. He kicks it off with Ab Ripper, takes a short break, and then goes into Ab Ripper X. Although Ab Ripper X is 25 reps per exercise, Killer Abs rips through the sequence at a quick clip of 20 reps per exercise. One of the things I like about the One on One series is the unedited nature of it. Tony forgets his own sequence in Ab Ripper X and leaves out the Cross Leg / Wide Leg Sit-Up. You can pause and add it in on your own or just roll with it and be thankful. I highly recommend this routine to keep the variety flowing for either obtaining or maintaining that six-pack. This is a great arm workout. Period. If you want to get those glory muscles pumped up for your tank top, this is a must-have. So, how does Tony leave your arms feeling like wet noodles? You will do (3) exercises (2) times through. This will occur (2) more times for a total of (6) rounds. And just when you think you are done, Tony finishes completing your “sleeves of pain” with a 5 exercise bonus round, including Crazy 8’s…twice! I love this routine and Tony really doesn’t have any other routine that I have seen that works forearms like this. Forearm Sandwich anyone? I highly recommend you combine this workout with Diamond Delts (see below) during the week. So why is it called “Thirty Fifteen”? Tony always says to set a goal before you start. Well, Tony’s goal for Push-Ups is 30 and Pull-Ups is 15. He does bring this down a bit near the end of the workout. Good to know he is human. This workout will prove that your body weight is all you need to get an absolute killer workout. There are no weights or resistance bands. This is push-up / pull-up hell…eh hem…I mean heaven. You will do a push-up, then a pull-up and then repeat those same moves. This completes one round. By Round 6, you have nothing left! Just complete muscle exhaustion. 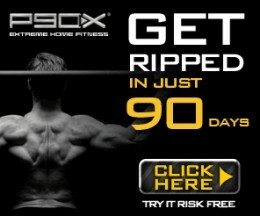 Unfortunately, you can’t do all the moves in this workout with a standard door frame P90x pull-up bar. If there is a video that has motivated me to put in a more permanent apparatus, this is it. He does some really cool moves, including Plyo Pull-Ups. However, my favorite new move is “Levers”. This is a gymnastic move and looks completely awesome if executed properly. It is really tough, but it is one to take you to the next step up. This is a great alternative to the P90x Chest & Back routine. Get ready to take it to the next level! Yoga X can broken into (4) sections: Sun Salutations / Vinyasa Sequence, Balance Moves, Stretches, Yoga Belly 7. “Fountain of Youth” focuses on the Sun Salutations / Vinyasa Sequence and a few Yoga Belly 7 moves. For all of you P90xers who have wished for a shorter Yoga workout than Yoga X, your wish has been granted. “Fountain of Youth” is an abridged variant of Yoga X. Although Tony introduces a few new moves, if you have successfully made your way through Yoga X, this will feel at home to you. This is another workout that uses foundations from the P90 Master Series. This is a good cardio routine. Nothing as intense as Insanity or even Plyomterics, but it will still leave you sweating and is a good one to use during recovery week. It is more like Kenpo X, in terms of a cardio routine. The workout consists of 3 Sequences. Each sequence consists of 3 exercises that you repeat 3 times. So essentially you have 27 exercises in a 47 minute time span. This is a good one for a recovery week or if you just want to kick the intensity down one notch. We find Tony in his slippers in his hotel room at Mammoth Ski Resort. His purpose? 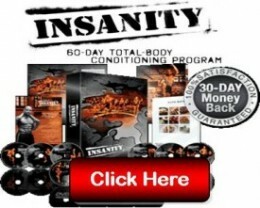 To show you that you can get a killer total body workout anywhere! He makes this one up as he goes, but he does not disappoint. You go through 6 Rounds of Upper, Middle, Lower to complete the workout. 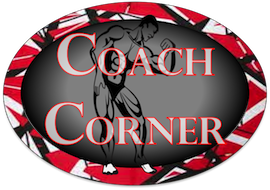 – “Upper” exercises consist of Push-Ups, Chair Dips, and Pike Presses. – “Middle” exercises consist of some good-ole AbRipper X favorites. – “Lower” exercises consist of a good variety of squats, plyo, and other great leg exercises. There is no equipment required, which makes this another great workout to take on the road. I love to see him moving furniture, using his slippers as markers for side jumps, and using ski boots as push up stands for pike presses. Now I dont feel weird for grabbing my kids toys to use as markers or do the wacky things I do to make a workout space in my hotel rooms. He does one new move here I have never seen before or after: Plyo Skippers. It’s the last exercise and a killer! You can see him do it briefly in the trailer below. Although I do not believe it is as intense as P90 Road Warrior or other Total Body Workouts, this would be a good workout during your recovery week. This is a bonus stretch appended onto the main workout where Tony takes his buddy through a good long stretch after hitting the slopes. If you don’t want to sit down for a while, this workout will ensure that happens. Each round you will do a squat, a lunge, and a kick. Exercises like the 8-card pick-up make this a unique workout, especially if you want to shape your glutes and upper legs. I consider this a specialty workout that targets a very specific muscle group. You should use this as a great Waist Down to Knee Up workout, but I would alternate this workout with another more complete leg workout every other week. I really enjoy this routine. It is a lot of fun and was the workout that made me invest in medicine balls. You have 5 rounds ahead of you with each round consisting of 4 exercises. I use this workout as a replacement to an ab workout. If you skip the warm-up, you can complete this in 25 minutes which makes it a great supplement after a resistance workout. I encourage you to really play with this routine and have fun. Try different range of motions and different medicine ball weights. You can also see my Full Medicine Ball Video Review if you are wondering whether or not to purchase some medicine balls. This is a good workout when you don’t feel good, are really sore, or have a day off but still want to move around and get the blood flowing. However, while I was expecting a no weight-type workout, Tony brings in weights and medicine balls numerous times. This is one of those workouts that will just leave you feeling better than when you started. This is a world-class shoulder workout that is a great compliment to “Just Arms”. This one will leave your shoulders in a serious pump. There are (3) exercises in each round and it is repeated once. This episode also highlights that this is truly unscripted as someone rings his door bell and Mason has to pause while he has to take care of some personal business. Want to know what a “log cover” is? You’ll have to tune in. Excellent review. I love volume one. 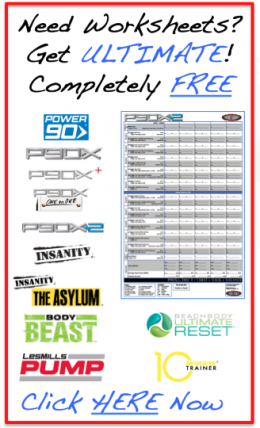 Beachbody workouts are like Pokemons, you just have to collect them all. Thanks Coach! I agree. I can’t wait to get Volume 2, but I need to Save Up! Plus i have enough on my hands finishes my Volume 1 / Volume 3 Hybrid. And hopefully by that time, we have Insanity Asylum to keep us busy! You ever tried 10-minute Trainer or the original Power90? Wow Mike! This review is outstanding!!! 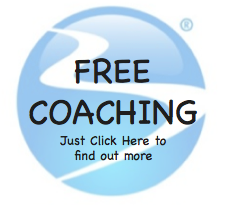 What a resource for the people you are coaching! Thanks for sharing and spending the time to document this for us! 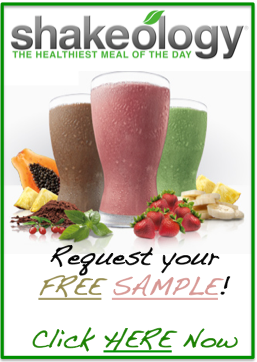 It’s all about the larger team and helping others continue life past the initial 90 days. 1-on-1s are such a great tool to do that and keep the critical element of “Variety” in your workouts. Thanks for posting on your site as well so we can all benefit. I own 30-15, Just Arms, Diamond Delts, & Fountain of Youth from this series but I think your review has convinced me to buy some Medicine Balls! I’m really glad you found it useful. One other note on medicine balls. If you plan to own any of the new Volume 3: MC2 series, medicine balls is a big part of it. It is essential for “Volume 3, Disc 1: Chest Back, and Balls” where he does all of his pushups on medicine balls, a stability ball, or a basketball. He also uses it in “Volume3, Disc 6, Plyocide.” So I am guessing you are going to see quite a bit of it in MC2. It is a worthwhile investment. I will write a review on the medicine balls I got, but it is the same ones he has in his gym. They are made by Valero and you can get them on Amazon.com. Thanks Mike for doing this great review. I was looking into getting this soon and now that I know what they are all about I can choose which ones that will benefit my goals. I am happy to help and spread it around for the team. I am starting my Volume 3 review for the discs that have come out so far. If there is something else you would like to see, let me know! Enjoy the 1-on-1 series. I have really been digging them. Thanks for the tip on the Medicine Balls, I’ll check them out. Intensify with a weight vest!! I have been contemplating the weighted vest so I think you just pushed me over the hump! Thanks for the advice! Thanks so much Coach Mike. I’m 14days away from completing round one and this couldn’t of come at a better time. Once again thanks for the overview, love it!!!! I’m glad this could help you in your next phase. I am 1.5 weeks from finishing my 1on1 Hybrid. if you are interested in what I have been doing, shoot me an email at TeamRightNow@gmail.com and I’ll send you the plan I put together. This review is great…thanks for taking the time to document it. I see you are working on Volume 3. Did you do a review for Volume 2? I haven’t had time yet. LOL! 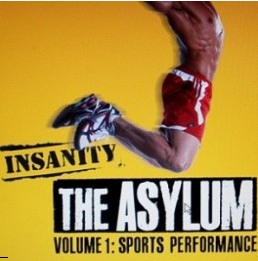 After I do insanity Asylum, Volume 2 may be on tap before I do P90X2 later int he year. I’m glad you found the review helpful. It makes all the time and effort that went into it worth it! I’ve had the 30/15 DVD in my collection for months however, never tried it out (perhaps out of fear). The main reason that I never tried it was that when I would deviate from the P90X schedule on a Chest and Back day, I would do my own routine so that I could work in some bench pressing movements to breakup all of the pushups. So, today was finally the day. This workout was tough. I struggled more than I have on any P90X workout. This was because I forced myself to stick with Tony on reps (i.e., 30/15 or 25/12). When I hit failure on pushups, I went to my knees to get to 30. When I hit failure on pullups, I went to the chair to get 15. Set One pullups – 15 Unassisted, 0 Assisted. Last set pullups – 0 Unassisted, 15 Assisted. I really liked setting my goal beyond what I could do unassisted. In my usual workouts, I set a goal and push myself to it or failure but haven’t set the goal beyond the unassisted number. What made this workout so effective for me was having a goal that for many sets was beyond what I could do unassisted to force me to total failure by adding a few (or more than a few) assisted reps.
Great workout. I plan to use it a lot.